This is a great example of a Weinor Cassita Awning that we fitted to a lovely property in Godalming, Surrey. 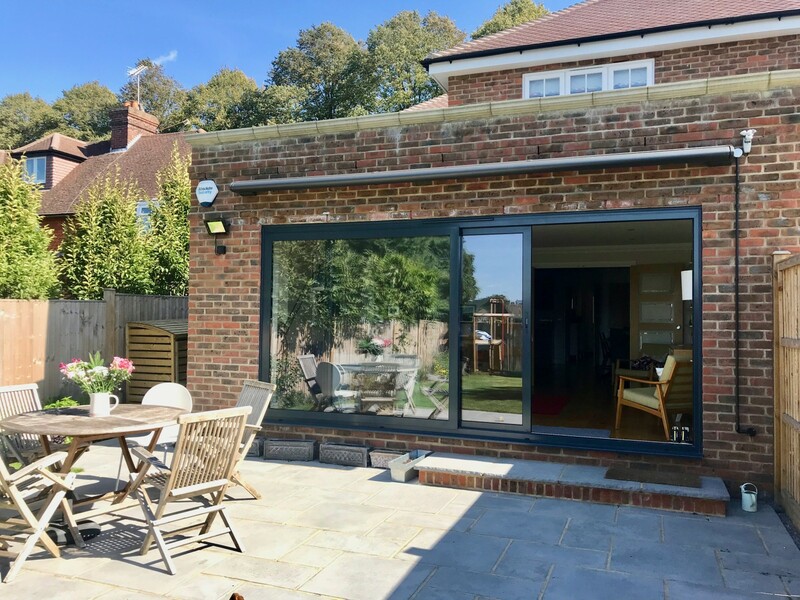 The large south facing sliding doors to the rear of the house opened out onto a generous patio area which needed some extra shade. 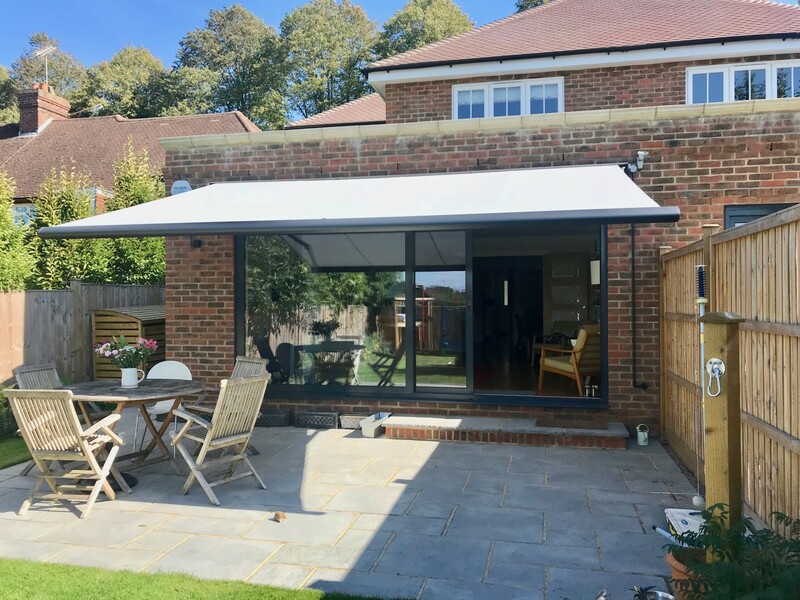 The motorised awning can be opened and closed at the touch of a button to provide instant respite from the sun and an automatic wind sensor will retract the anwing if it becomes too windy. The cassette is colour matched to the frame of the sliding doors for a smart and polished finish. If you like the look of the Weinor Cassita Awning, take a look at our Patio and Garden Awnings page to find out more. Our high quality range of awnings offers something to suit any style of property and all of our awnings are custom made to fit your outdoor space perfectly. To find out more or to book a FREE design consultation, contact our friendly Sales Team – call 02381 290170 or email sales@awningsouth.co.uk.